Today's recipe is not an entree or side dish but a delicious cookie! This cookie was so easy and quick to whip up and is quite tasty. I highly recommend it. You can find the original recipe here. 1. Preheat oven to 350 degrees F. Cream butter and sugars together until well blended. Add egg and vanilla until mixed well. 2. Place flour, baking soda, and salt into large bowl and stir together. Slowly add dry mix to wet mix. 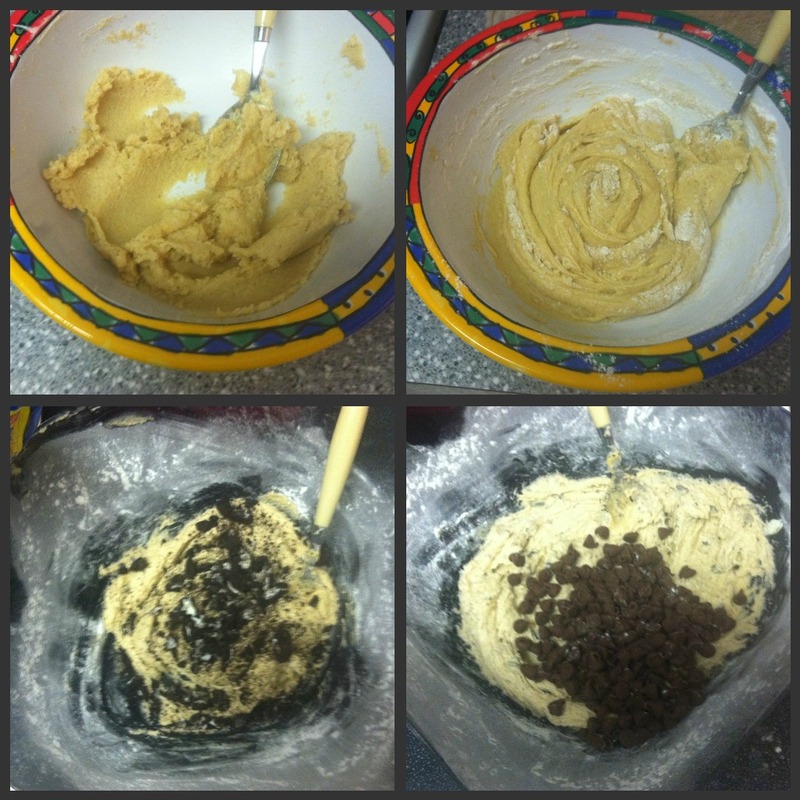 Stir in broken Oreo's and chocolate chips until well combined. 3. Using a cookie scoop, scoop batter onto cookie sheet. Bake for 10 minutes (I actually cooked mine for 12) or until cooked but still soft. Let cool on baking sheet for 3 minutes before moving to cooling rack. OH!! I didn't know thats what these were! I saw your FB photo!! Okay.... my husband is going to LOVE these! Thanks for the recipe.